If you’re heading out into the sunshine, you don shades to protect your eyes from the glare of the sun. You wear a hat to protect your skin from the rays and you do all of that to prevent your eyes and skin from being damaged. The one thing that most people don’t think about is wearing ear protection when they are around noise at a higher decibel than normal. It’s usually out of ignorance: we don’t think about how loud noise can have a real impact on our ability to hear and it’s hard to know what noise level is hazardous. Certain people have to wear ear protection in their everyday lives, and your audiologist can talk you through whether you are one of those people. Below, you’ll find several examples of who should be wearing ear protection and when. Whether you are out in the garden mowing the lawn, out in the yard using power tools or even inside the house cleaning the carpet with a high-tech machine, your hearing could be in jeopardy. If you’re out in the garden every week cutting the grass, you could be exposing your hearing to noise as loud as 90 to 100 decibels. Even short-term exposure can do irreversible damage, and earmuffs are a good solution here. Do you love rocking out at your favorite bands’ concert? How about getting into the thick of the action in the cinema? Well, you could be exposing yourself to action scenes of over 100 decibels! If you enjoy heading to the cinema or the theatre, think about bringing earplugs along with you so that you can block out most of the noise but still leave enough that you can hear what’s going on. If you know you’re going to be exposed to noise for a significant length of time, you need to consider carrying foam earplugs with you whenever you are on your way somewhere. Sometimes there are sports that are louder than others. These include motorsports, racing, motorcycle riding and even clay pigeon shooting. Exposing your hearing to just one shot can permanently and irreversibly damage your hearing. You should pay attention to the decibel level of the sport you are playing just in case! Construction workers are those who are most exposed to noise in their profession, but so are those who work on stage and in theatres. Even those who are a part of an orchestra for a living are exposed to a lot of loud noise that could be damaging to hearing. If you work in a noisy environment, you should consider the fact that you need an audiologist to confirm with you whether your career could damage your hearing. 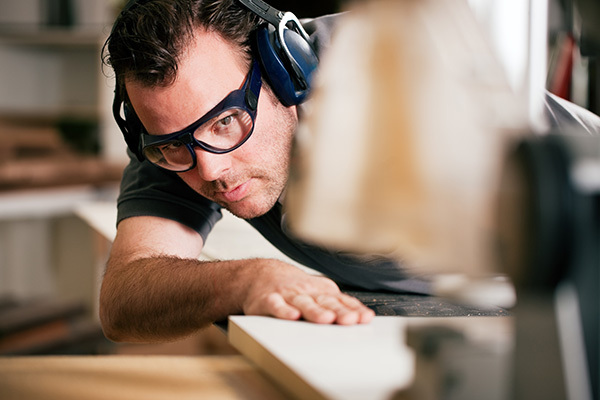 Knowing when to wear ear protection can go a long way to saving your hearing, so pay attention to what you need!